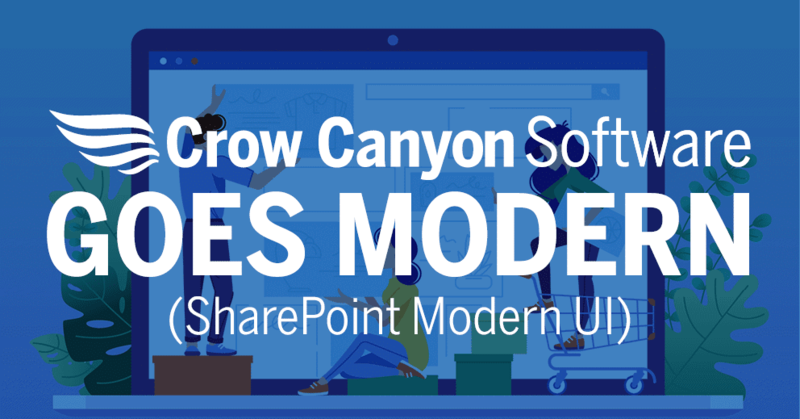 Crow Canyon’s NITRO Studio includes a comprehensive set of web parts for SharePoint’s Modern UI environment. People can use these web parts to create pages that are dynamic, responsive, and attractive. 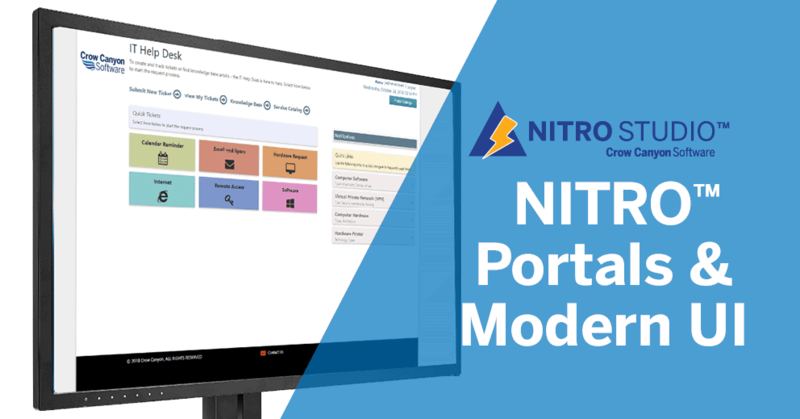 Whether making up a portal, a workspace page, a home page, a reporting page, or other, NITRO Studio’s Modern UI web parts provide the added functionality needed to make useful, practical application pages in the Modern UI. Branding (Modern) comes as part of NITRO Studio. After activating NITRO Studio in a Site, a link for “Branding (Modern)” utility is added to the Site Settings/Site Administration of that Site. This component allows an admin to change page layout, the page header, the quick launch, and more. It also controls whether the “Application Administration” link and the button for page translation appear in the Site. Dials is a web part that allows placement of one or more “dials” on a Modern UI page. The dials can have multiple segments to show the count of items in lists. Dials are used in dashboards and workspace pages to show information visually on the status and progress of tickets, requests, and other list items.The dials are configured in NITRO Studio’s “Tiles and Dials” app. They can be placed on any Modern UI page. The List Rollup web part shows items from multiple lists in single view. Lists can be from the same or different sites. List Rollup is configured using NITRO Studio’s “List Rollup” app. The Rollup can be placed on any Modern UI page. The List Search web part provides the ability to search SharePoint lists with advanced filter conditions and AND/OR grouping. Filters can be saved for reuse. List Search uses its own configuration settings (in Edit Web Part), separate from the NITRO Studio List Search configurations. List View is an advanced view for SharePoint lists that works cross-site and also integrates with other NITRO Apps like custom actions and conditional formatting. 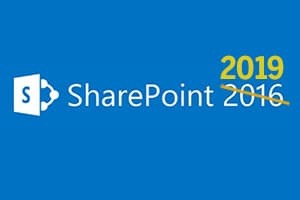 It provides a broader range of features and capabilities than the standard list view component in SharePoint. It is highly configurable, using configuration settings in Edit Web Part (once it is added to a page). This web part is separate from the NITRO Studio’s “List View” app. The Report web part displays pre-configured NITRO Reports on a Modern UI web page. 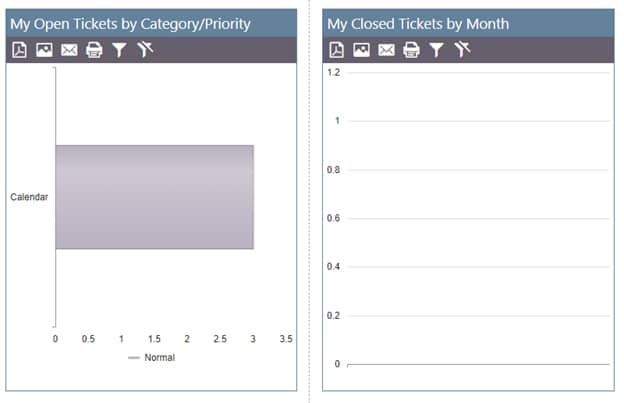 Any number of reports can be added to a page, giving staff a visual representation of SharePoint list data in a variety of charts and aggregations. Reports can be emailed, printed, or saved from this web part. The reports themselves are configured in the NITRO Reports app. 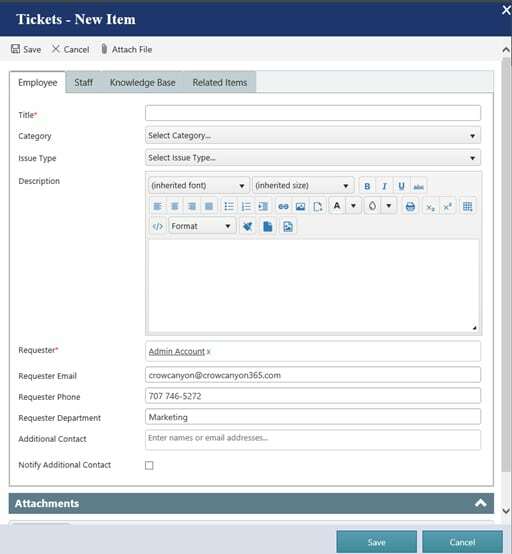 The Report Center shows NITRO Reports reports in a single component, making them easily available for viewing, as well as emailing, printing, and saving. Tiles shows the count of list view items in tiles with configurable styles. Note: Link Tiles (above) can be used instead as it provides more features and layout options. Tiles are configured in NITRO Studio’s “Tiles and Dials” app. They can be placed on any Modern UI page. The Catalog web part can be used to display a “Service Catalog” in a Modern UI web page. This is used in conjunction with a Service Catalog list (a SharePoint list) to show users what services are available and how to access them. Service Catalogs are more commonly used in IT Help Desks, but can provide value to other service desks. They are generally used in larger organizations that have a defined and well-documented set of services that are offered to their employees or customers. Contact Crow Canyon for more info on how to use the web part. The Knowledge Base Search web part works with a SharePoint list that is set up as a Knowledge Base. This gives a powerful way for users to search a Knowledge Base from any Modern UI web page. When used with a good set of KB articles, this web part can help users get answers right away and accelerate response times. The KB Search web part can be setup to use Natural Language Processing (NLP). It shows frequently used, highest-rated, and category-based listing of articles. Primarily applies to Crow Canyon Applications. 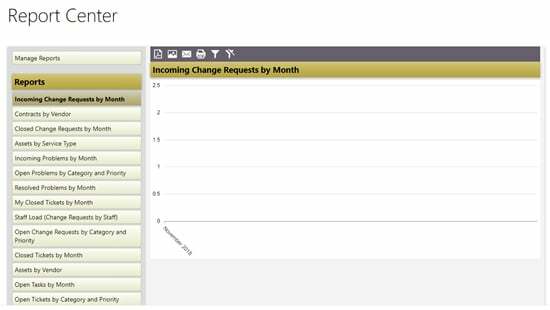 The Dashboard web part is used in some Crow Canyon applications (Onboarding, Purchase Requests) to show requests along with status, a progress bar, and a list of tasks for each request. There is no interface in “Edit Web Part” to set this up. For now, Crow Canyon works with customers to configure this web part for specific uses. Dashboard Tabs are used in Crow Canyon application workspace pages. It gives a tabbed interface with icons to show/hide web part components in page. For instance, in the image below, each link at the top will show a different list view in the area below. This web part does not show up in the list of web parts when editing a page. Contact Crow Canyon for more info on how to use the web part. HTML/Text allows the addition of HTML and CSS to Modern UI pages. This can be used to hide the quick launch, add a page title, and other things. At Crow Canyon, we use it to configure some components of our applications, but it is not recommended for general use due to the level of knowledge required to use it properly. 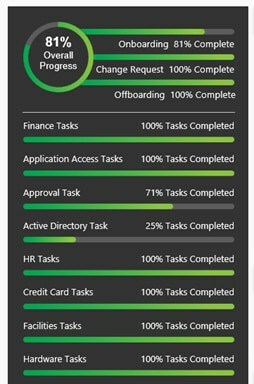 The Progress Dashboard is used in some Crow Canyon applications (Onboarding, Purchase Requests) to show requests along with status, a progress bar, and a list of tasks for each request. There is no interface in “Edit Web Part” to set this up. For now, Crow Canyon works with customers to configure this web part for specific uses. Applies to Modern UI Portal Sites for Crow Canyon Applications. Site Settings is used in Modern UI portal sites for configuring Portal header links, Portal security settings, Crow Canyon Bot / Live chat settings, as well as other aspects of the Portal. 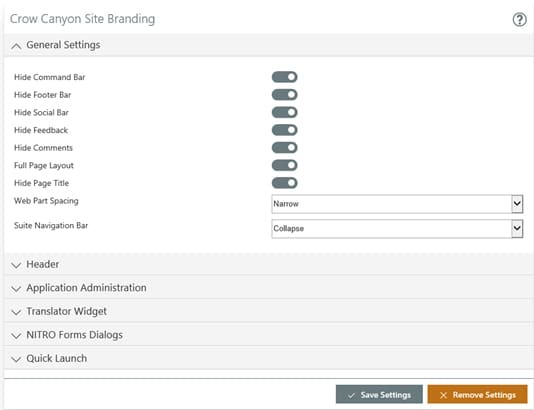 Crow Canyons’ Modern UI Portals provide end users with a simple, intuitive interface where they can make requests, see the status of their existing requests, search a Knowledge Base or FAQs, use a Chatbot, look up services in a Service Catalog, etc. As many or as little of these elements can be used in the Portal, according to the needs of the organization. The Portal is security-isolated from the Application Site (where the data resides). End users can only interact with information that pertains to them and their requests. They are prevented from accessing all the data in the application site, which allows the organization to adhere to security and regulatory regulations about data access. This is especially important in healthcare, finance, electricity and gas suppliers, and other regulated industries. All our applications and apps, along with the NITRO Studio, are now fully compatible with SharePoint’s Modern UI. The Modern UI, currently only available on Office 365, offers new features and capabilities to SharePoint.